The 19-year-old singer took on a few roles in the vid, which is all about dropping someone who doesn’t treat you the way you deserve! In addition to portraying her totally fierce self, Rachel also channeled some amazing 1940s glam for the vid. “#DIME is over 200k views today!!! thank u all so much from the bottom of my heart, all for u, i <3 u," Rachel wrote on her Instagram. 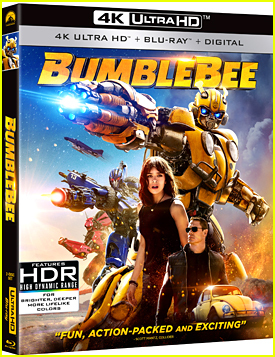 Some very familiar faces are set to star in the Transformers spinoff Bumblebee! Diary of a Wimpy Kid‘s Jason Drucker, Landline‘s Abby Quinn, Rio 2‘s Rachel Crow, Degrassi: Next Class‘s Ricardo Hoyos, and Zoo actress Gracie DziennyTHR. 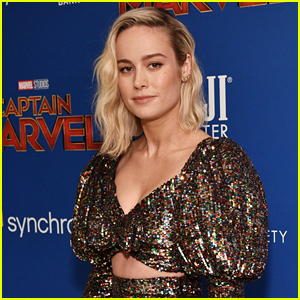 Hailee Steinfeld and Jorge Lendeborg Jr will also star. Laura Marano had herself another Austin & Ally reunion when she ran into Ross Lynch in Las Vegas, while at the Westwood One Backstage Lounge ahead of the Billboard Music Awards. The two, along with his brother Rocky, posed for a few pics while promoting their music projects there. Hostess Vanessa Hudgens was also there, along with Rachel Crow, Hailee Steinfeld, Julia Michaels, Forever in Your Mind, Los 5 and more. Later on, Ross, Rocky and R5 were spotted hanging by the pool before dinner at Tao while Laura and her sister, Vanessa, headed to see Britney Spears in concert. FYI: Vanessa wore a Fausto Puglisi dress. 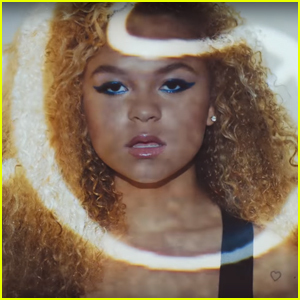 The 19-year-old singer recorded the song for her new Netflix movie Deidra & Laney Rob a Train, which she stars in alongside Ashleigh Murray. In the film, they play two sisters who turn to train robbery in order to support their family after their mother ends up in jail. Watch the trailer here. Listen to “Solo” below, and download it on iTunes now! 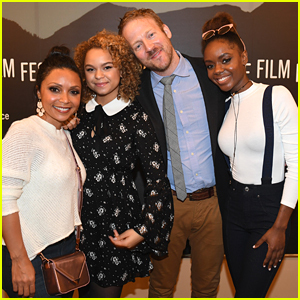 Ashleigh Murray and Rachel Crow gather up for a ‘family’ pic at the 2017 Sundance Film Festival earlier this week. The two on-screen sisters premiered their new film, Deidra & Laney Rob A Train, during the annual festival in between gifting lounge and portrait studio stops. ICYMI: Catch the trailer and Netflix release date on JJJ now! The new trailer for Deidra & Laney Rob a Train is here – and it’s hilarious! 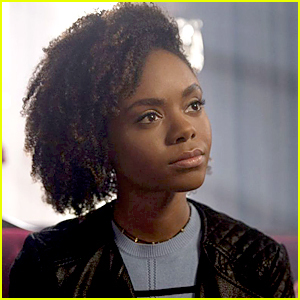 Riverdale star Ashleigh Murray and Rachel Crow play sisters in the upcoming movie, which will premiere at the 2017 Sundance Film Festival. Here’s the flick’s summary: High school senior Deidra (Murray) and her younger sister Laney (Crow) hatch a plan to start robbing trains after their mother is thrown in jail for a minor offense after succumbing to the pressure of single parenting. Things go off without a hitch, until a railroad detective (Tim Blake Nelson) starts sniffing around. The film will hit Netflix on March 17th.